ECM Records have expanded their partnership with distributor Universal Music Group to allow the label's back catalogue to be made available across digital streaming services from today. The label is widely credited as one of the best covering contemporary, jazz and classical music with a catalogue stretching across almost five decades since its founding in 1969 by Manfred Eicher. 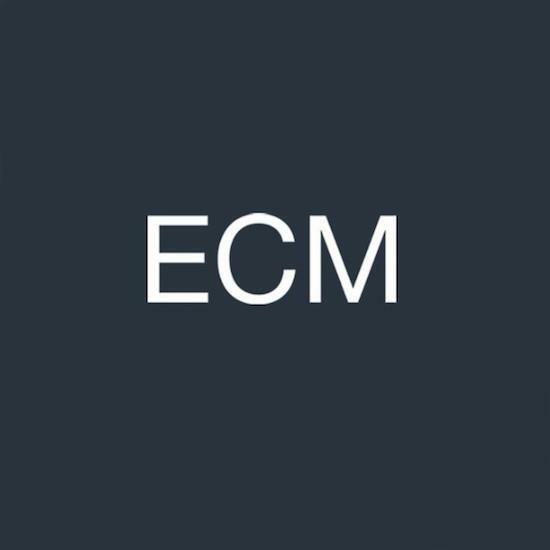 Music from the likes of Keith Jarrett, Jan Garbarek, Paul Bley, Arvo Pärt, Meredith Monk and many more has found a home on ECM and will now be made available to stream on platforms such as Spotify, Apple Music, Tidal and more. Deutsche Grammophon, UMG’s Yellow Label, will be responsible for international digital distribution of the extensive ECM catalogue. Clemens Trautmann, President of Deutsche Grammophon, said: "I would like to thank Manfred Eicher for placing his trust in Universal Music Group and Deutsche Grammophon. Myself, my team and my colleagues around the world are delighted to work on bringing the precious ECM catalogue to digital platforms. We want to place our distribution capabilities fully at the disposal of ECM and its great artists and in doing so, benefit from each other's experiences." Announcing the move, ECM's press office issued a statement saying: "Although ECM's preferred mediums remain the CD and LP, the first priority is that the music should be heard. The physical catalogue and the original authorship are the crucial references for us: the complete ECM album with its artistic signature, best possible sound quality, sequence and dramaturgy intact, telling its story from beginning to end."